I just got this great stroller organizer from Groovy Baby Products. This is a really great accessory for any stroller. It has great straps that you attach to the stroller handle bar, just velcro them around the bar and secure it. 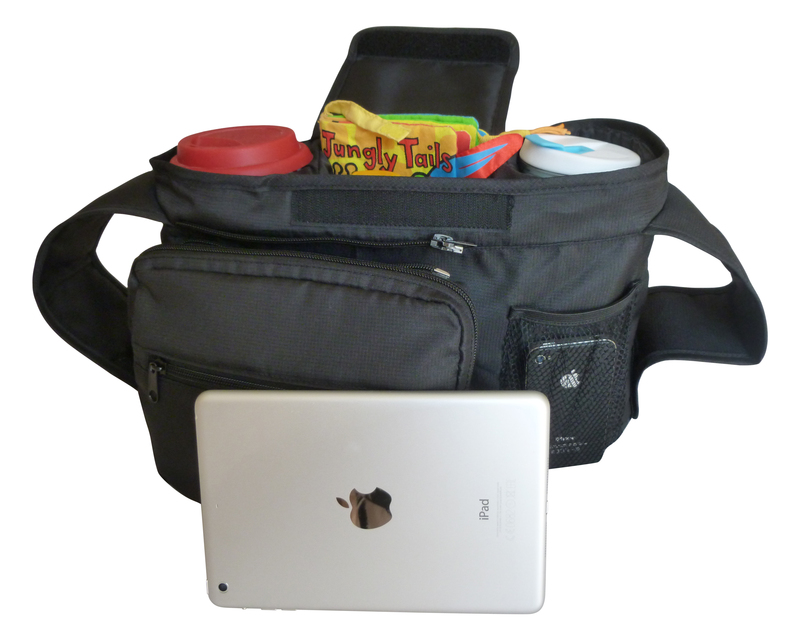 Has three compartments across the top great for snacks, cups, water bottles, bottles, etc. They are vinyl material so they are really easy to clean out if they get dirty and waterproof. On the front you have a great removable pouch that you can store all kinds of items in. Great for an iPad, tablet, phone, or just toys, diapers, etc. You can take it with you so I often put my kids diapers & wipes in it and when I need to change them I can just take that pouch with me to the bathroom without having to take the entire stroller. Has a net pocket as well great for all kinds of items, breathable. This is a must have busy moms. I know I am always the one that gets tuck holding everything so this keeps me hands-free and organized. I can see everything and know exactly where it is when I need it. I love it. PREMIUM DESIGN WITH LIFETIME GUARANTEE provides good alternative to diaper bags and superior to the stroller organizer trays. Great baby shower gift idea.